In 2010, there were an estimated 35.6 million people with dementia worldwide and 3.7 million in India alone.There are 7.7 million new cases of dementia each year, implying that there is a new case of dementia somewhere in the world every four seconds. Dementia is the word that doctors use when someone has the number of problems with thinking and remembering. Dementia describes a group of symptoms associated with long-term decline of mental ability. Dementia affects a person’s ability to remember, understand, communicate and reason. These problems interfere with the person’s ability to do things that they used to be able manages, such as looking after themselves. One in 14 people over 65 years of age and one in six people over 80 years of age has a form of dementia .The overall prevalence for males and females doubles for every five year increase in age after the age of 65. There are many causes of dementia that affect the brain in different ways and determine the symptoms that a person experiences. For example, memory loss and impairment in Alzheimer’s disease is associated with damage to the hippocampus and the temporal and parietal lobes. In dementia brain shrinks as neurons die. ication system that a neuron needs to survive. However, if the immune system of the brain is too active and causes inflammation, this can also damage cells. Unlike most cells, when neurons die, other cells do not divide and replace them. 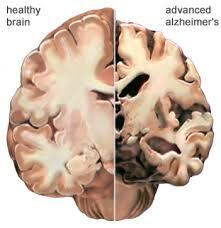 Therefore most dementias are progressive and cannot be reversed. Usually dementia gets progressively worse over time. If the person improves and gets better, then what they had was not dementia. It was more likely to be depression or an infection, or the result of being stressed and tired .People with dementia can be depressed or ill like anyone else, so they might have chance of being a bit better if the infection or depression is sorted out. But underlying problems still continue. 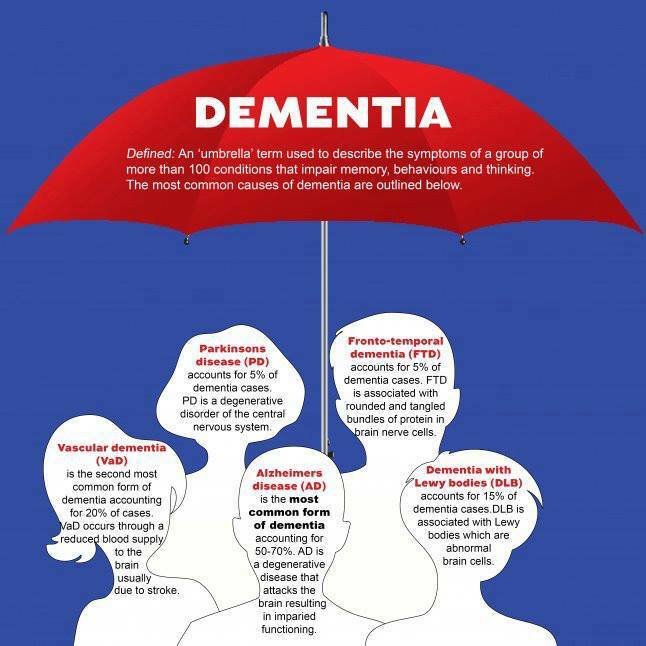 Very few people with dementia have or will have all of the problems listed below.This is simply guide a to kinds of problem that people with dementia,their familes, carers and friends may come across.